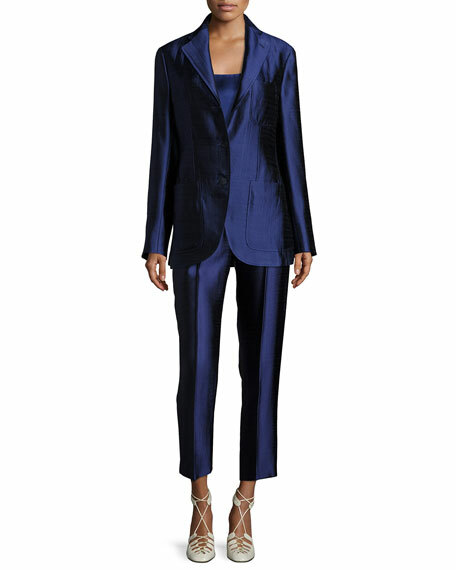 THE ROW "William" pants in textural, lustrous wool-silk blend. Side slip pockets; single back welt pocket. For in-store inquiries, use sku #2164581.